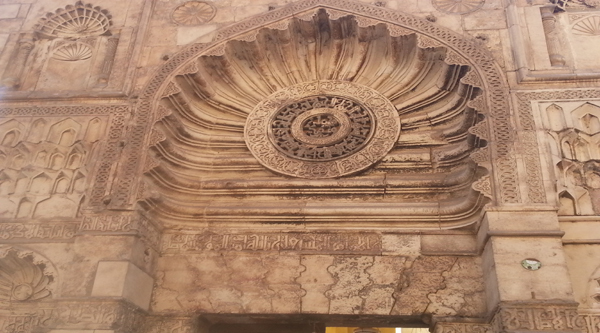 The mosque was built in the arcaded courtyard style with a great dome in front of the mihrab. 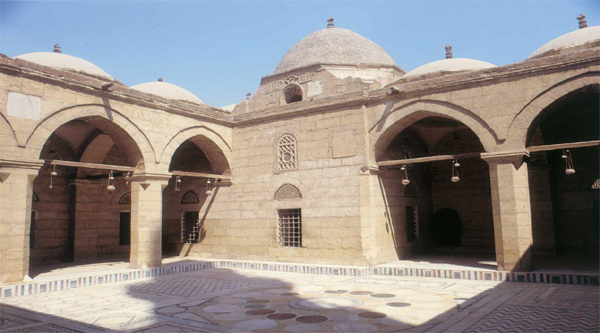 The original dome was covered with green tiles but it fell in 1468, and again during the Ottoman period. The present concrete dome was erected by the Comite in 1935. 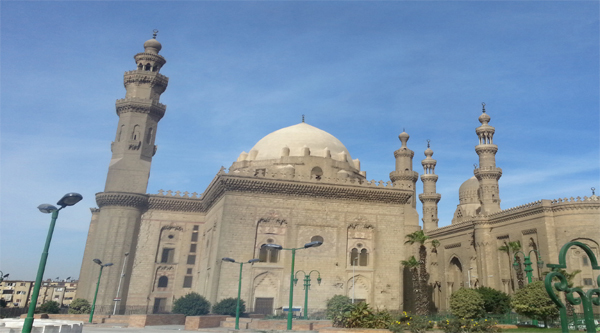 The capitals on the columns in the mosque are from different Pharaonic and Roman temples and Coptic churches. Not one capital is the same as another. Just inside the entrance, two basket-shaped capitals resemble the enormous latticework capital seen in the collection of the Coptic Museum. In the arcade you can also find the column of thick, red granite with the remains of palm fronds at the top. It is from an Old Kingdom royal mortuary temple. 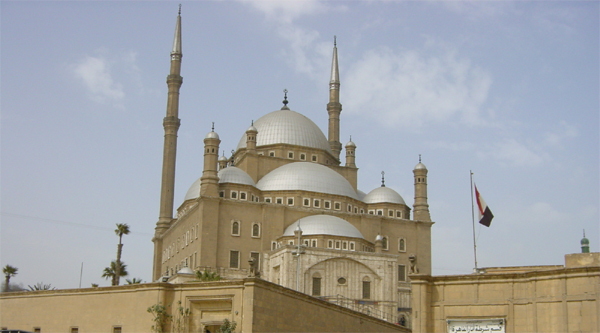 The mosque has 2 minarets, each architecturally different from the other and stylistically have no parallel anywhere in Egypt. They differ from other minarets of this period in fluted bulbous finials and glazed faience of the sides. 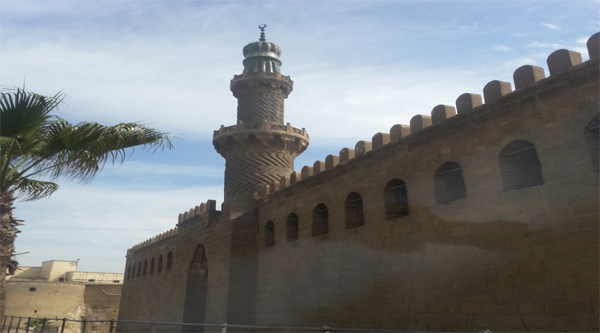 The green-enameled finials at the top of the minarets have an unusual “garlic” shape. 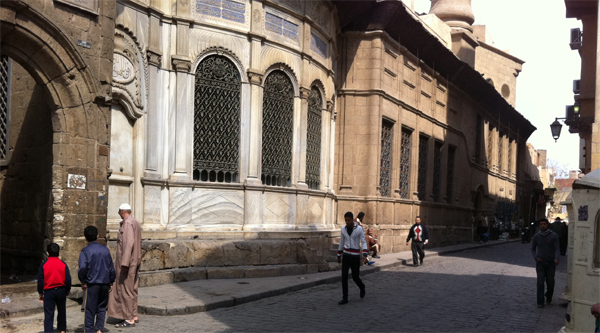 The 1st minaret faced the palace area and called the royalty to prayer. The 2nd one was closer to the entrance of the Northern Enclosure and called the troops stationed in the barracks. The royalty and soldiers used two separated entrances.